A conference entitled “Meet Japan – Mekong Delta region” will take place in Can Tho city on April 18 and19, expected to provide the city a golden opportunity to promote trade and investment ties with Japanese firms. 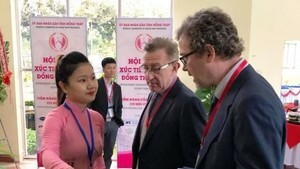 The conference will be held by the Ministry of Foreign Affairs in conjunction with the municipal People’s Committee, as heard at a meeting of local authorities on the event’s preparatory work on March 23. It will include three sessions, engaging in discussions on development cooperation between Japan and the Mekong Delta in the fields of healthcare, culture-tourism, education-training, human resource development and hi-tech agriculture. Can Tho seeks to attract more Japanese investments and support in healthcare projects, for example, providing equipment for a local cardiovascular hospital, providing training for healthcare workers and sending guest workers to Japan. The city also plans to design exclusive tours for Japanese visitors, develop the Vietnam-Japan Industrial Park, which will start construction in April, and other industrial parks in Co Do, Thot Not and O Mon. Notably, a meeting will be held between former Vietnamese President Truong Tan Sang and the Japanese Ambassador within the conference’s framework during which the two sides are expected to discuss the future cooperation between Japan and Can Tho. 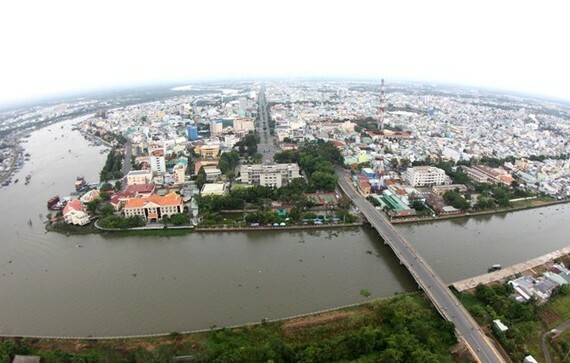 A focus of the meeting will be the construction of Xom Chai Bridge, worth about 400 billion VND (17.6 million USD). Last week, the Government of Japan agreed to provide over 403,600 USD in non-refundable aid for five projects in health care and education in Vietnam. Part of the fund will be used to purchase medical equipment of health centres in the Mekong Delta provinces of Ben Tre and Long An. Japan is Vietnam’s biggest ODA provider and second largest FDI investor. Last year, Japanese investment into Vietnam hit a record high of 9.11 billion USD, a 4-fold increase from 2016.